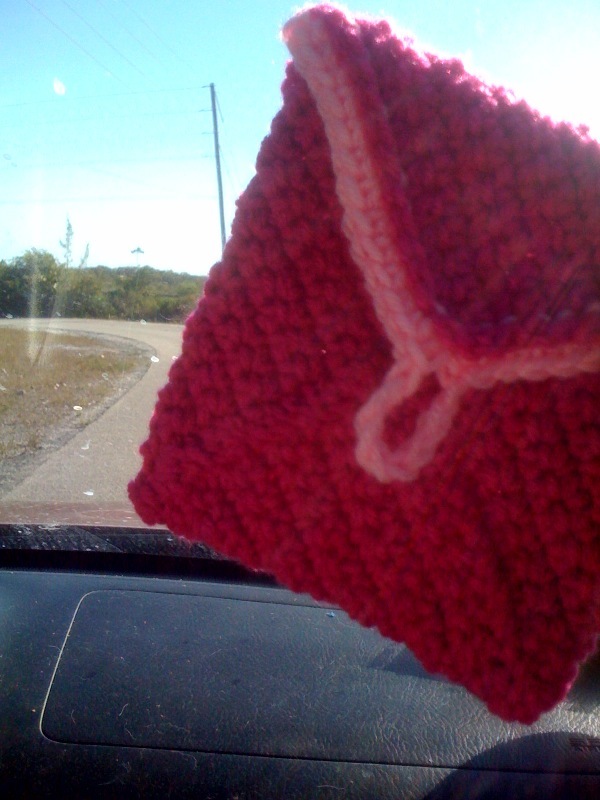 Creative Project #5 for February….something in on the road. Today was a pretty busy day. We are emptying our upstairs to have spray foam insulation put in……and *maybe*, just *maybe* one of the rooms upstairs may become a classroom for me to teach quilting. I have gotten a lot of requests lately and am starting to feel like I should pay it forward. So the morning was spent emptying two huge rooms, then after lunch my husband and I took a road trip to another town….40 minutes away ~ far for the islands!…..to attend a fundraiser for a friend’s mom. If I was gonna create today I had to take something on the road. 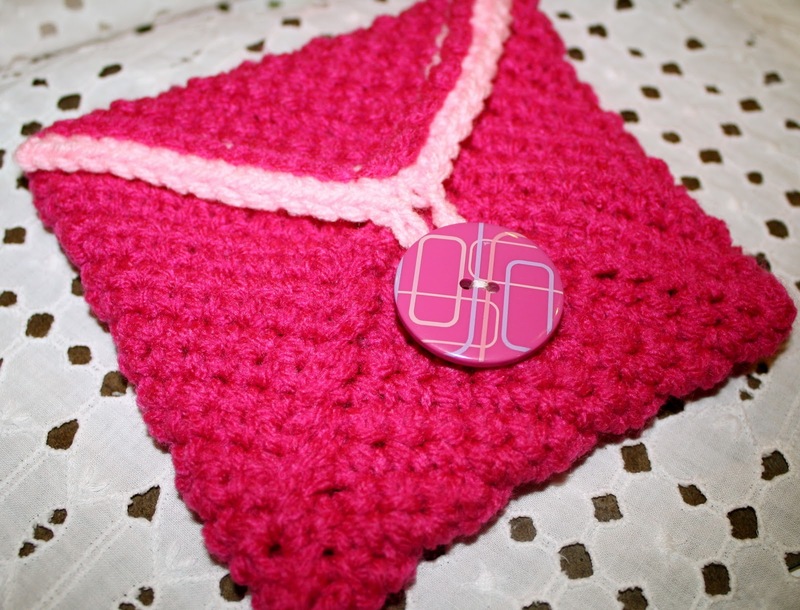 I had gotten an email from Lion Brand Yarns this morning featuring some patterns, and one of them was a cute little crocheted envelope. Just before we left I got it started. When I got home I sewed on a button for a clasp. Makes the perfect jewelry pouch! My husband has also been creative! For Christmas he got a home brewing kit to make his own beer. We are beer connoisseurs! And tonight the time had come to taste the first batch, after 3 weeks of waiting! It was awesome! This batch was Lager and the next batch will be Draught. 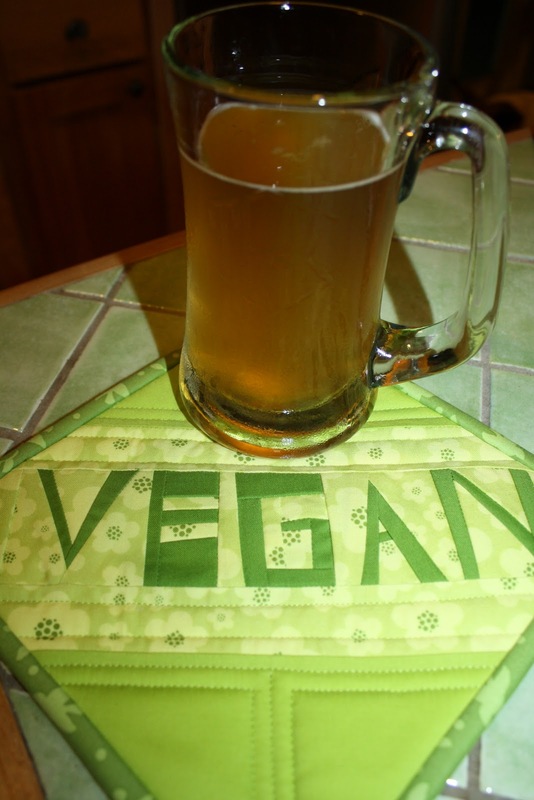 And I know this beer is vegan! Hope you have all had a wonderful Saturday! 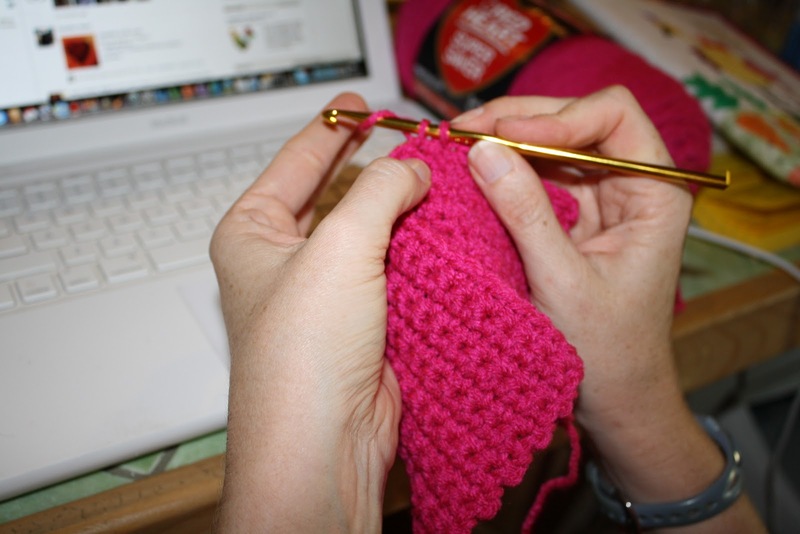 This entry was posted in beer, challenges, crochet, vegan. Bookmark the permalink. 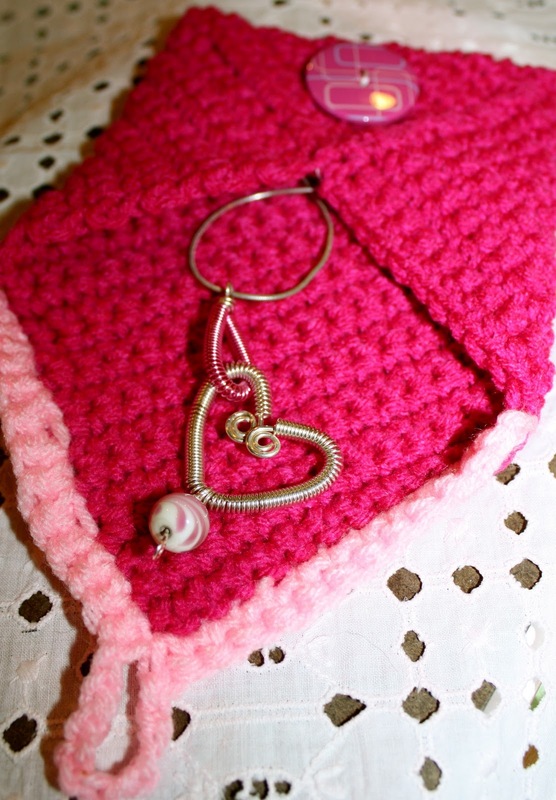 ← Creative Project #4 for February…….Valentines! The last picture really made me laugh. I love catching glimpses of your surroundings, like the highway shot, it helps me picture what it is like there! The little envelope is sweet!